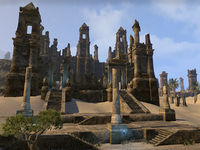 HoonDing's Watch is a ruin in the southeastern Alik'r Desert, south of Kozanset. HoonDing's Watch Objective: Discover history and survive the trials at HoonDing's Watch. 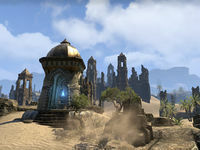 HoonDing's Watch Wayshrine is located to the northwest of HoonDing's Watch, near the road to Kozanset.